Sharon Pasco is Dressage WA's appointed Rider's Representative for 2018. 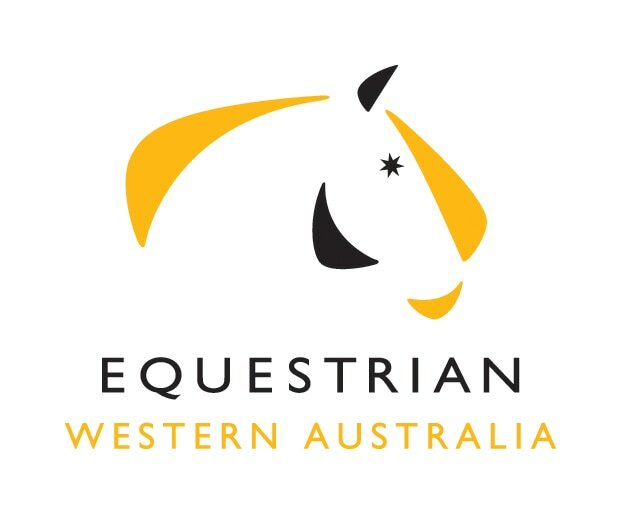 If you have anything you would like to discuss regarding dressage competitions in Western Australia, please email Sharon. In a Dressage competition, the horse and rider perform from memory a series of predetermined movements in a 60 x 20m enclosed arena, usually of grass or sand surface. There are 12 letters placed around the arena’s perimeter which indicate where movements are to start and finish and where changes of pace or lead are to occur. All Dressage events are conducted and scored under the current FEI Dressage Rules and Equestrian Australia (EA) National Dressage Rules. The first level in Australia is Preparatory followed by Preliminary, Novice, Elementary, Medium, Advanced, Prix St Georges, Intermediate I, Intermediate II and finally Grand Prix. The FEI World and the Olympic Games Dressage consists of Grand Prix, Grand Prix Special and Grand Prix Freestyle (Kur) tests. There can be up to five judges for Grand Prix dressage, two or three for the lower level Competitive classes and generally only one for Participant tests. At the dressage test’s completion, the scores for all movements are totaled and each judge’s score is converted to a percentage and then combined. The horse with the highest total percentage score is declared the winner. In Freestyle to Music Dressage tests ( ‘Kur’ for Grand Prix) riders perform their own pattern of movements choreographed from a list of compulsory elements suitable for each level of competition. The scoring of the freestyle test is divided into technical execution and artistic impression. Competitors are given a score of up to 10 marks for each of the judged elements shown. Some of these have a coefficient by which the initial mark is multiplied. In the event that two competitors have the same final score, the one with the higher marks for artistic impression is declared the winner. Competitor Dressage horses/ponies are issued by the EWA office with a dressage number. This number may be worn on the bridle or the saddle cloth but must be visible on both the right and left side of the horse. A dressage number is not transferrable unless approved by EWA. 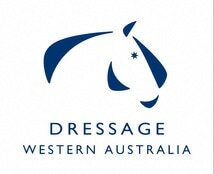 The Dressage Development Fund (DDF) supports the development and growth of dressage in WA. The fund is pooled from a ‘Start Levy’ paid by riders for any horse/pony competing in Competitor and Participant Dressage competitions (not training tests). The Dressage ‘start levy’ is collected by the Dressage Event organisers and then forwarded to EWA where it is transferred into the DDF account. be eligible compete at all levels of the sport being ‘competitive’ and ‘participation’ level. owner's responsibility to record results in the performance card. Ponies and horses compete in separate classes in Competitor Dressage competitions. Ponies must possess a current height certificate. including the end of the calendar year in which they turn 21 years. Young Riders who compete in Open competitions (classes) can gain official grading points. Young Riders and Junior Riders may compete in Open competitions to gain grading points according to their placing in these classes, or where they are offered, In Young Rider or Junior competitions, organisers should be aware that Young Riders and Junior Riders in the Open draw are not to be listed separately. Dressage numbers are not required for Participant competitions. Participant competitions may separate ponies or combine with horses. A rider may compete as Open Young Rider from the date they turn 16 years up to and including the end of the calendar year in which they turn 21 years. Young Riders who compete in Open competitions (classes) can gain grading points. Young Riders and Junior Riders may compete in Open competitions (classes) to gain grading points according to their placing in these classes, or where they are offered, in Young Rider or Junior competitions (classes). Organisers should be aware that Young Riders and Junior Riders in the Open draw are not to be listed separately. In WA, separate classes for ponies must be offered at Competitive competitions. Event organisers may also choose to offer separate pony classes for Participant riders. For horse/pony downgrading requests, please refer to the current EA Dressage Rules for the downgrading Application Form. Refer to the National Dressage Rules for information on Awards and Placings, particularly related to State Dressage Championships. All prize money is awarded to the owners of the horse/pony. At all “Competitor’ Dressage Events the payment and amount of prize money/prizes is at the discretion of the organising committee. When using a shared warm up area at a competition or training day, riders need to be aware of the ‘Warm up Arena Etiquette’ to ensure all riders are allowed to give their horses the best preparation they can for a test as some horses may be quite inexperienced &/or easily upset. Dressage competitors must always consider the safety of other riders. The following are some courtesy guidelines. The more progressive (faster) gait has priority both on the outer track and in figures, ie: Canter has priority over trot; Trot has priority over walk. There are many excellent EWA qualified NCAS coaches available across the state. A list of current NCAS registered coaches can be found on the EWA website. Many clubs offer Dressage training days. These are a good opportunity to familiarise yourself with dressage in a friendly and non-competitive atmosphere. The rider may be required to be a member of EWA or an EWA affiliated club to ride a training test. Riders who have a physical disability may wish to compete in Para Dressage tests, which are programmed or available upon requests at most events. To provide a level playing field, riders are classified into grades reflecting a rider’s degree of disability. Grades range from Grade 1A – highest degree of disability to Grade IV – least degree of disability. Specific tests are available for each grade. This classification must be made by a physiotherapist or medical practitioner, who is an accredited classifier. School children between the ages of 8 and 16 compete for their school at an annual event held at the State Equestrian Centre. This EWA sanctioned competition encompasses a range of events that accumulate points to take home the Interschool WA cup. Pony Club is the second-largest youth movement in the world after Scouts. Pony Club is a great way for young riders to learn horsemanship skills and gain competition experience. Many Olympic equestrian medallists credit their success with an excellent grounding gained at Pony Club. Visit the PCAWA website to find a club near you. Adult riding clubs affiliated with EWA can be found in most metropolitan and country areas. ARC offer members the chance to have lessons with NCAS coach at reduced rates, in a social setting with the opportunity to meet like-minded people. Some ARC members rode as children and then return to riding after a prolonged absence, whereas some only take up riding later in life. Many ARCs hold dressage events which are suitable for those new to competition.